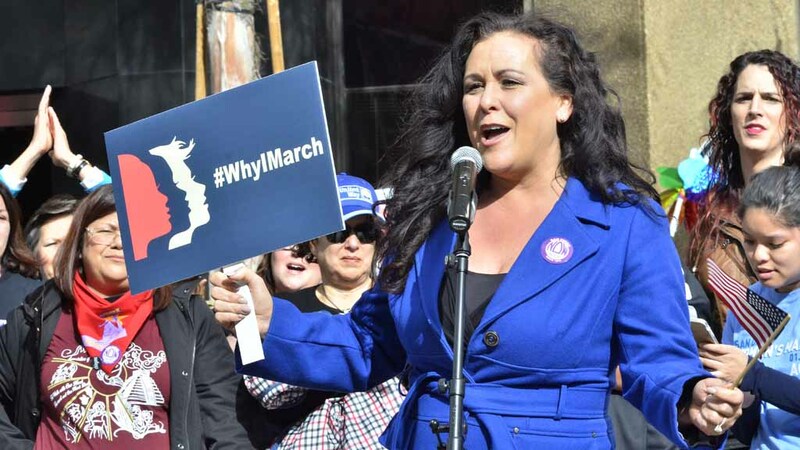 Assemblywoman Lorena Gonzalez Fletcher told supporters Monday she is planning to run for the office of California Secretary of State in 2022. “While I am running for re-election to the Assembly in 2020, I have also begun my campaign for statewide office,” she wrote in an email to supporters. “Why so early? In California’s 169 year history, a Latina has never been elected to statewide office,” she explained. Gonzalez is the daughter of an immigrant farmworkers. She attended public schools in San Diego County before earning a bachelor’s degree from Stanford University, a master’s from Georgetown University, and a law degree from UCLA. Earlier in her career, she served as senior adviser to former California Lt. Gov. Cruz Bustamante. Gonzalez was first elected to the state Assembly in a special election in 2013. She represents the 80th District, which stretches from central San Diego to the Mexican border. In 2016, the national website Politico named Gonzalez one of the top 50 visionaries in U.S. politics. She is married to Nathan Fletcher, a San Diego County supervisor, and the couple has five children.